It’s national strawberry month, a very delicious time of year. Strawberries are packed with nutrition. They’re antioxidant powerhouses and have the fourth highest level of antioxidants of foods. These protect your body from free radicals associated with aging and disease. They are a great source of vitamin C as well. In fact, eight strawberries have more vitamin C than an orange. Strawberries have anti-inflammatory and anti-pain properties and are helpful in managing arthritis and heart disease. This luscious fruit also anti-cancer properties. Their flavonoid content helps prevent cancer cells ability to multiply. 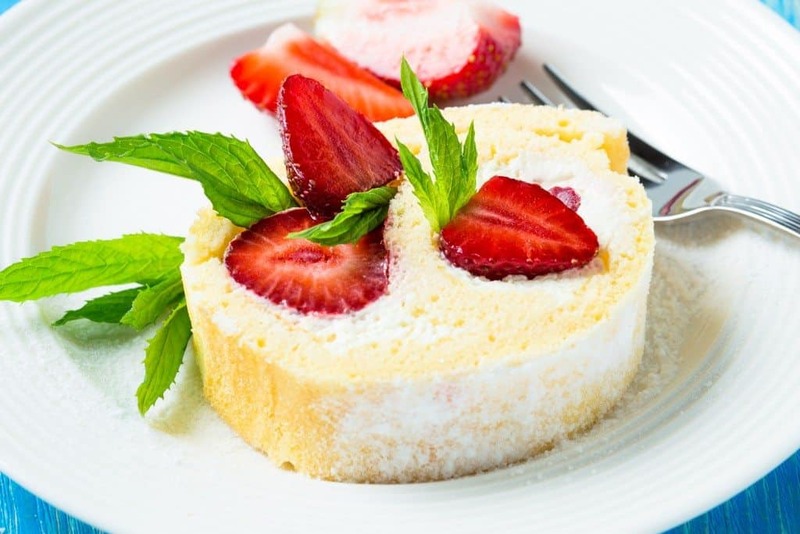 This month enjoy strawberries with a delicious and simple dessert angel food cake. This is one of our family favorites, especially this month. This is my mother in law’s recipe and it is light, yummy, and easy to make and store. It’s a beautiful dish to serve to those you love. Take your premade angel food cake and cut the top off of it, about two inches down. On the bottom half cut out the center, like a trough or moat in the middle of the lower layer of the cake. Cook your vanilla pudding (I use skim low-fat milk). Let it cool. Fill the trough in the middle of the bottom layer of your angel food cake with the vanilla pudding. When finished filling the hollowed space place the top layer of angel food cake on top of vanilla-filled bottom. Ice the angel food cake, filled with vanilla pudding, with the whipped cream. Place the cake in your refrigerator for a few hours before you add some delicious fresh strawberries for color and nutrition. This is a cool, light, and just plain delicious!